Future leaders. 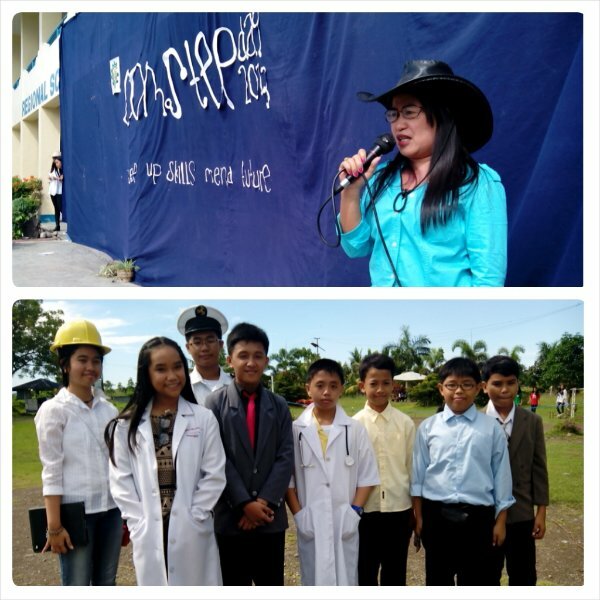 Students dress up based on the careers they are considering when they graduate as part of the school’s celebration of the ComSTEP Day being held today, November 27 at the school campus. In her speech, Principal Norma P. Rendon told the students that they should not only be wearing their career attire but they should also learn the skills necessary for their future careers. The Computer and Student Technologists and Entrepreneurs of the Philippines (ComSTEP) Day is annual event that highlights the development of skills Information and Communications Technology as well as technical skills. Various competitions are being held such as computer graphics and animation, short film making, dish gardening/landscaping, photography, fruit carving, experimental cookery, technology quiz, and the search for Mr. And Ms. ComSTEP where students are set to design and construct their own costumes from indigenous materials and recyclables. Posted in Events, News and tagged COMSTEP, entrepreneurship, ICT, skills.